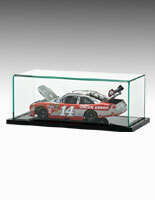 Clear acrylic top offers unobstructed view of displayed collectible items. Includes a removable riser to keep any round object in place while on display. Black acrylic platform to highlight the displayed item. 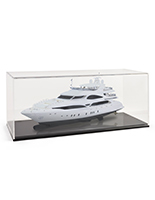 These collectible display cases keep your priceless possession free of dust and other damaging elements. 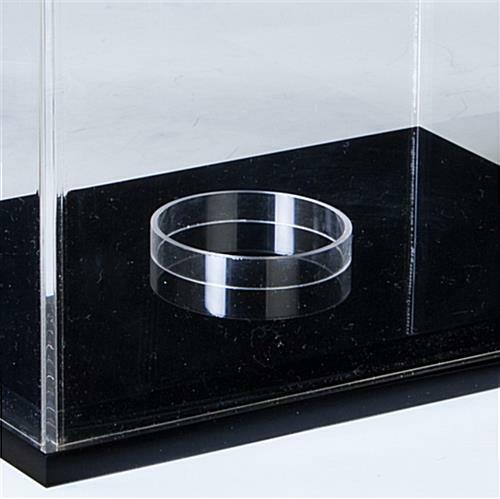 The inner dimension of each showcase measures 9"w x 6"h x 6"d, enabling sports collectors to exhibit mini helmets, cars, motorcycles and other figurines that can fit into this item. 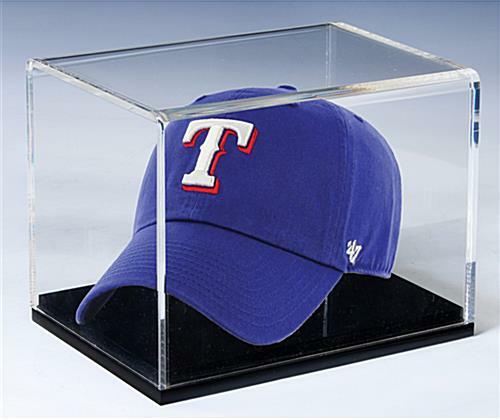 These countertop sport displayers, collectible display cases that are inexpensive include a 1/4" thick acrylic top that lifts off for easy access. 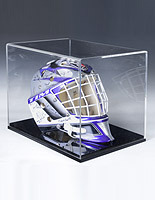 The clear sides of this helmet casing allow customers to view the displayed items from every angle. 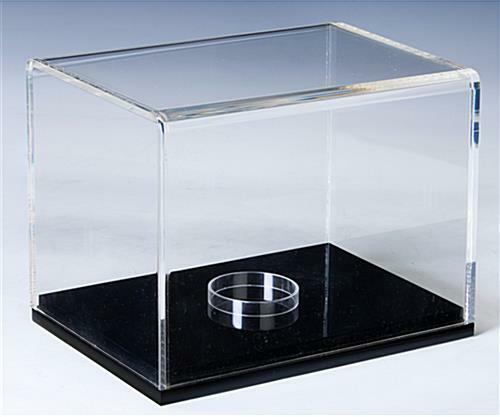 These acrylic showcases have a simple and contemporary design. 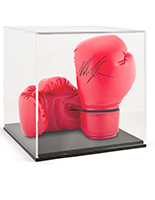 As a result, these countertop collectible display cases, such as a sports memorabilia holder, can be used in almost any location. Gift shops use these items to exhibit small helmets, limited edition model cars and other souvenir-type objects for customers to purchase. 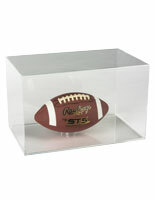 These acrylic showcases, collectible display cases that have a lift-off top are also great for use in your living room or office to display items from your personal sports collection. These items can also be found in other places like the libraries, schools, sports centers, hobby or retail stores. However, these showcases do not come with a locking mechansim. 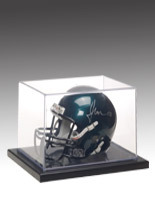 As a result, these small helmet collectible display cases are not meant to store expensive items in public areas like a museum or exhibition hall. Each unit includes a removable riser to hold any round or uneven object in place. 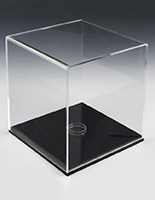 Acrylic showcases, like the ones seen here, are sold in other models as well. Please see related products for more helmet displayer options.